As summer air gives way to autumn leaves and the city settles into the new year, Melbourne’s events calendar has a slew of fun findings perfectly suited to the cool, auburn-soaked streets. April is a wonderful time to visit Melbourne, especially for those that are more interested in a warm coffee on a crisp morning than the hustle and bustle of summer beaches. Regardless of your preferred outings and destinations, we at RNR Melbourne are here to provide you with beautifully modern, centrally-located serviced apartments. Click here to take a look at our accommodation options. Now that you’ve set up a place to rest your head, let’s take a look at what’s on in Melbourne this April! Much to the chagrin of bibliophiles everywhere, the Melbourne Book Market closed down in 2o17. This event hosted weekly at Fed Square, offered booklovers a place to meet up, buy some new literature, and hang out with other fans of the written word. 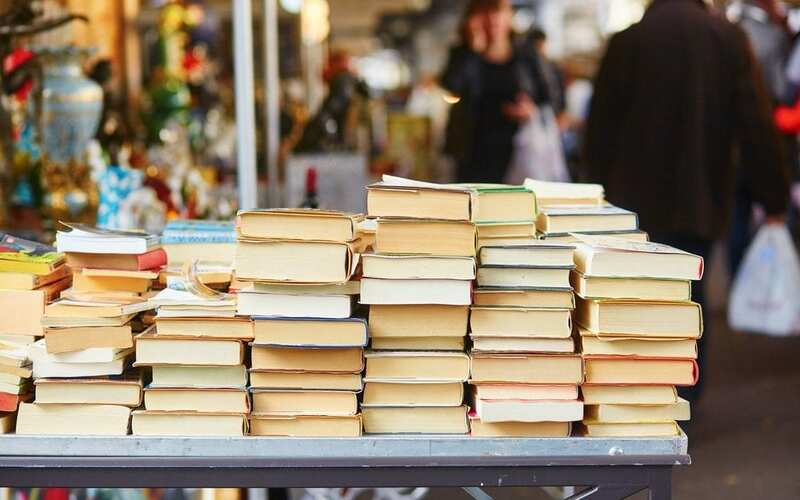 While it was sad to see this fun weekly event close up shop, it appears that the Melbourne Book Market has risen once again, and will be open each and every Sunday from the 31st of March to the 14th of April. Regardless of where your tastes lay, there’s sure to be a plethora of novels and books to whet your reading appetite. Just remember not to spend your life savings. With that said, the market is free to enter and explore at your leisure, which will leave you all the more money to spend on new reads! Have you had your fill of books? Well, to keep the arts and culture train moving, we have the beautiful sights and sounds of Bach X Reimagined. A response to the National Gallery of Victoria’s current exhibition, Escher X Nendo | Between Two Worlds, this exploration of classical music offers an impressive lineup. Curated by the collaborative creative platform anon., and bringing together four composers, 18 performing artists and a professional sound designer, the performances will showcase reinterpretations of classical music through the lens of modern composers. So, head over to the NGV website to buy tickets, and soak in the stunning surroundings while you’re at it. Aside from the exhibitions on display, the NGV boasts a beautiful collection of artworks from a variety of cultures and eras, all of which are free for the public to enjoy. Maybe classical music and books aren’t for you. Maybe you’ve had your fill of that particular cultural palate and are looking for something a little more funky? Well, this is Melbourne, and there’s always going to be something to do for those that love dancing. More specifically for this list, we have Carlton North’s Boogie Nights Dance, which “celebrates the music and moves from the halcyon days of disco, funk, boogie and soul” through dance classes and workshops. You’ll be wrapped up in sparkles, given some great music, and pushed out onto a boogie voyage the likes of which you’ve never seen (depending on when you were born). This workshop is perfect for beginners and pros alike, so get ready to let go of pretension and embrace the movin’ and groovin’. This is just a teensy glance at all the fun and excitement Melbourne has on offer this April. If you’re looking to stay close to the action, look no further than RNR Melbourne. With a range of centrally-located, stylish serviced apartments, we’re the perfect choice for your accommodation needs. Contact us today!